Bilderberg Group: Elite Club or Secretive World Government? The Bilderberg Group is holding another of its secrecy-laden meetings. Some see the gathering as a chance for the global elite to hobnob and work out a common policy. Others claim it’s a shadow world government. Daniele Scalea, an analyst from the Machiavelli Center for Political and Strategic Studies, says the truth is somewhere in between. Sputnik: Mr. Scalea, what is the Bilderberg Group? Who created it and to what purpose? Daniele Scalea: The Bilderberg Group is a sort of elite club which meets annually. It was founded in the 1950s, and gathered the representatives of the political, economic and social elite of North America and Europe. The initiative was part of the Atlanticist effort against the Soviet Union during the Cold War. The founder of the group was exiled Polish politician Jozef Retinger, founder of the Council of Europe and the European Movement, acting with the approval of the White House and the patronage of Prince Bernhard of the Netherlands. The aim of maintaining the link between the US and Europe was not lost even after the dissolution of the USSR, but gradually the emphasis shifted to promoting ideas of a free market and global governance. 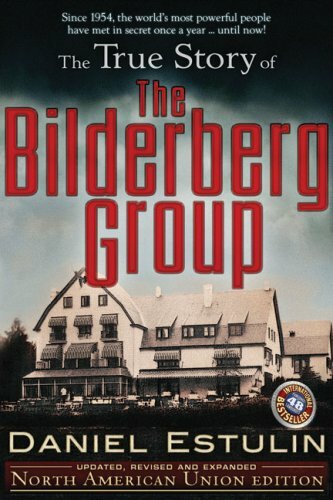 The True Story of the ... Daniel Estulin Best Price: $5.90 Buy New $14.00 (as of 07:35 EDT - Details) The Bilderberg Group is a perfect example of a transnational and cosmopolitan elite, which has dictated its rules to politicians and media over the course of many years. Therefore, some conspiracy theorists have exaggerated its role by painting it as a real world government. Sputnik: Each year, 120-150 people from various countries meet for the Bilderberg meeting. The meeting’s closed nature and the heavy security measures surrounding them create an aura of mystery. What sorts of characteristics must a person have to be accepted into this club? 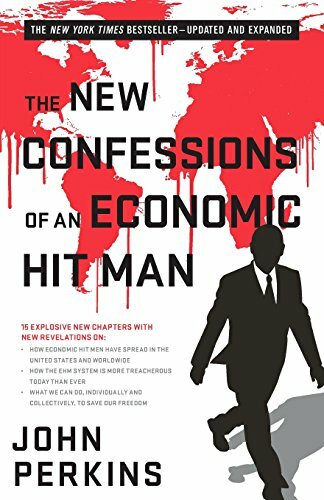 Daniele Scalea: They must be a member of the establishment – of the economic, political or cultural elite. Furthermore, their views must be in line with the position of this establishment; i.e., he or she must actively support globalism – the scenario under which the entire world should be united by a single economic and ideological system, as well as a unified structure of administration and control. But there are also members of the club who do not necessarily share these guiding principles. Sputnik: What is it about this club that makes it so mysterious? Is it true that the Bilderberg Group asks guests not to reveal what is said at the meetings to ensure an environment of trust? Daniele Scalea: The club adheres to the Chatham House rules, under which one may quote what is said, but not reveal who said it. This guarantees a maximum openness in discussion, all the more so because the Bilderberg Group makes every effort to keep journalists away. The club’s decisions are not put to a vote, and it does not publish any official statements; it is known (at least in general terms) what they talk about, but generally not how. This closed nature serves to nurture the image of a global “shadow government” that Bilderberg has established for itself. George Osborne, Mark Carney and Amber Rudd to attend exclusive conference bringing together top politicians, leading officials and crony-capitalist business leaders: https://t.co/OwAfafAP5b How to sabotage Brexit will no doubt be discussed. At this scale I could make a feature length film about my life, with how many questions they are asking me on camera. Daniele Scalea: First of all, I will clarify: Bilderberg is not a global “shadow government”; these annual summits do not result in decisions on how the situation in the world is to develop over the next 12 months. The distinctive feature of these meetings is that they are attended by very high-ranking people in an atmosphere of strict confidentiality. This provides an opportunity to make contacts, exchange opinions, etc. But it is naïve to think that these same people and many others who are equally powerful or influential do not also meet at other times, outside the framework of Bilderberg, and do not interact with business or politics, are not friends or relatives. The power of the establishment is immense, but the Bilderberg Group is just a small manifestation of its power. Furthermore, the establishment is not a monolith, even at the level of the Euro-Atlantic alliance; otherwise it would not witness frequent misunderstandings between countries and individuals. Sputnik: In his own time, Charles de Gaulle stepped out against France’s entry into NATO. Are there leaders in the world today who are prepared to go against the decisions of the club? Daniele Scalea: As I have already mentioned, the ruling class is not monolithic. For example, Donald Trump, the most influential person in the world, shares in only a small portion of the ideological platform of the Bilderbergs. Sputnik: It is rumored that members of the club consider Putin to be uncontrollable. Is this the case? Daniele Scalea: Undoubtedly. The Euro-Atlanticist perspective of the Bilderbergs gives them an unfavorable assessment of the growth of Russian influence, not to mention Vladimir Putin’s independent policy. Sputnik: Can you give us a sense of what is being talked about at the Turin meeting? Daniele Scalea: The Turin meeting will discuss topical issues such as the growth of populism in Europe, free trade, the US role as the world’s superpower, Russia, the rivalry between Iran and Saudi Arabia, and the new Italian government, which club members are somewhat concerned about. They have also spoken about the possibility of an intra-European alliance of the countries of the Visegrad Four and other right-wing governments. … Another topic is the internet, which can be a dangerous tool in the hands of the enemies of the establishment, and the need to find ways to control it and prevent it from being used by the public to create alternative sources of opinion. You can find Daniele Scalea’s full interview with Sputnik Italia here (in Italian). The views and opinions expressed by Mr. Scalea are those of the speaker and do not necessarily reflect those of Sputnik. This year’s Bilderberg Group meeting is taking place in Turin, Italy between June 7-10. Following the rules set by its founder, American billionaire David Rockefeller, two thirds of the group’s members are representatives from Europe. The remaining third represent North America.